We all love those evenings when we gather together with our family and we spend quality time outside. Why going outside of the home, when we can have our own family spots, a place to spend a great time with family? The question is simple so the answer is simple too. 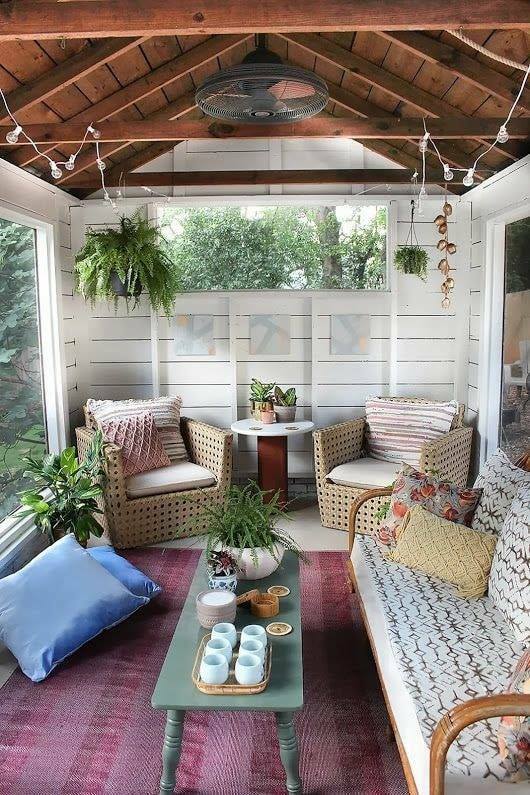 If we just have suitable place, we can clean it, rebuild it and create a cozy seating area placed in the yard of our house. Check the following inspiring family spots! Also, check these handmade rustic wooden furniture that you can use for these places. 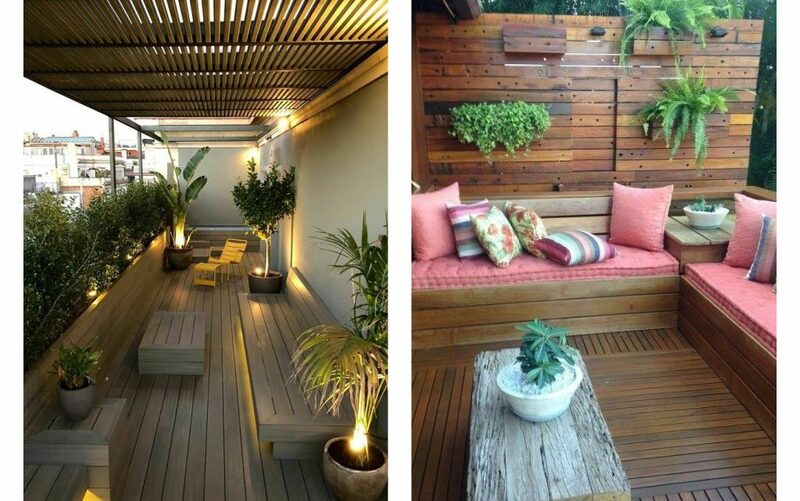 when you are already scrolling down on our website, also go the other posts and find amazing interior/exterior ideas. Those people who live in an apartment probably have faced with the problem of not having yard and garden. Well, my dear friends, this wont be a problem for you if you have a large balcony. 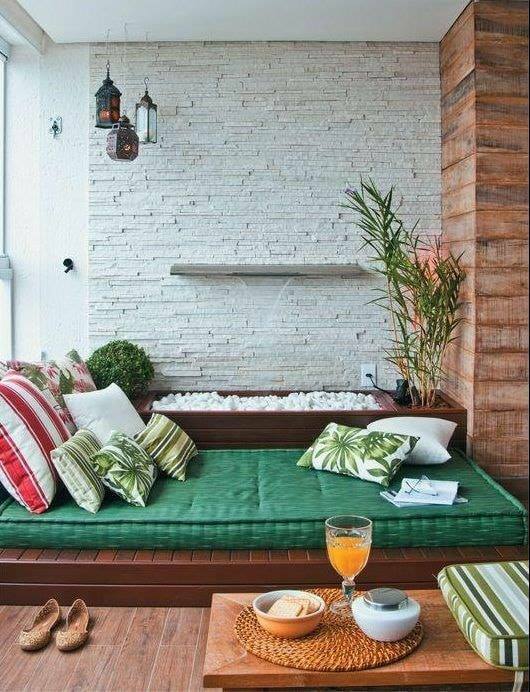 Here, you can create the best seating area, draw inspiration from the photo. Wooden floor helps you to maintain this place and the wood floor gives a unique look. 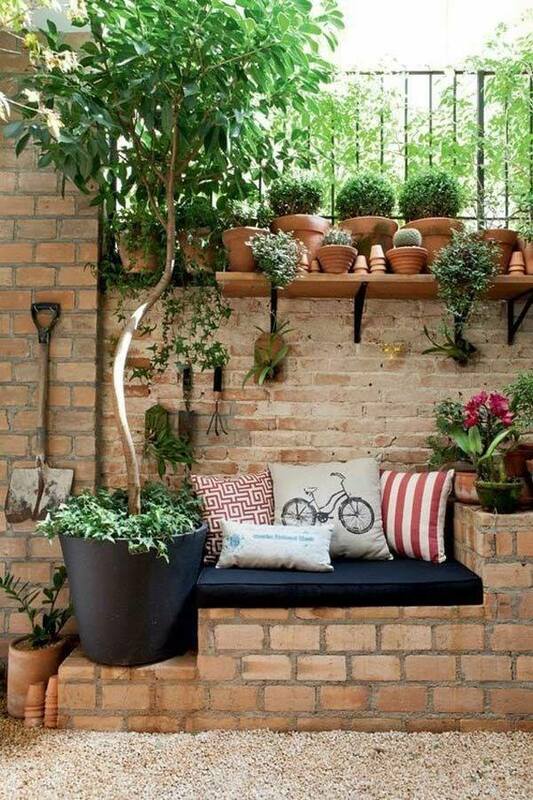 By the way, you can hang the flower pots on the wood wall and to have good organized vertical garden. Bench made of bricks looks so nice when is built in the outdoor place. You can use this place for sitting and reading your favourite book. Also, you can use the place for sitting there with friends and making a conversation with hours while drinking coffee. 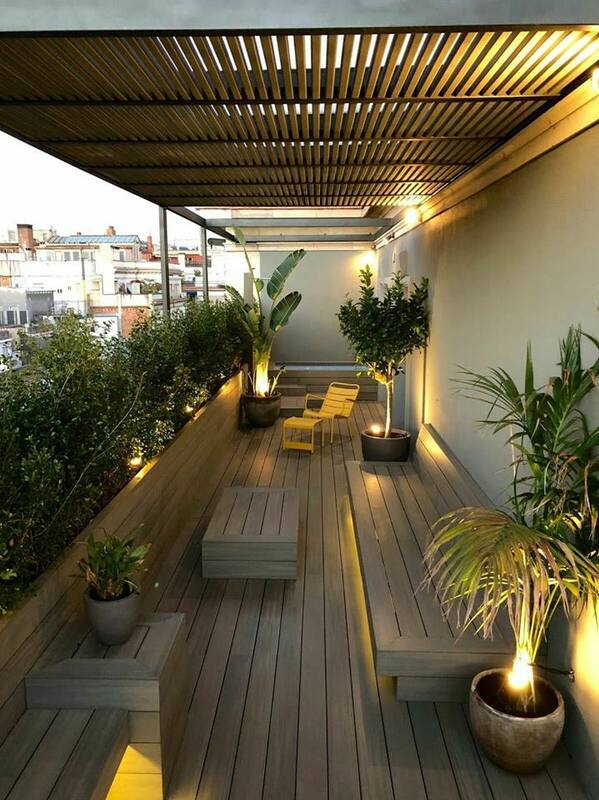 To have a privacy in outdoors sometimes is so hard, so choose some corner of the backyard or terrace (balcony) for creating a family spot. You can also use this place to gather with the beloved person and friends. Here, as you can see in the photo, the design is wonderful and still, there is a place for each member of your family. Cute organization of the armchairs and sofa and one little cute carpet. Take care to copy the design for your outdoor place and to gather with the family there. Draw inspiration from the photo here. If you have created a place, take care to choose a relaxing design where you will be passing the extra free time you have at home. 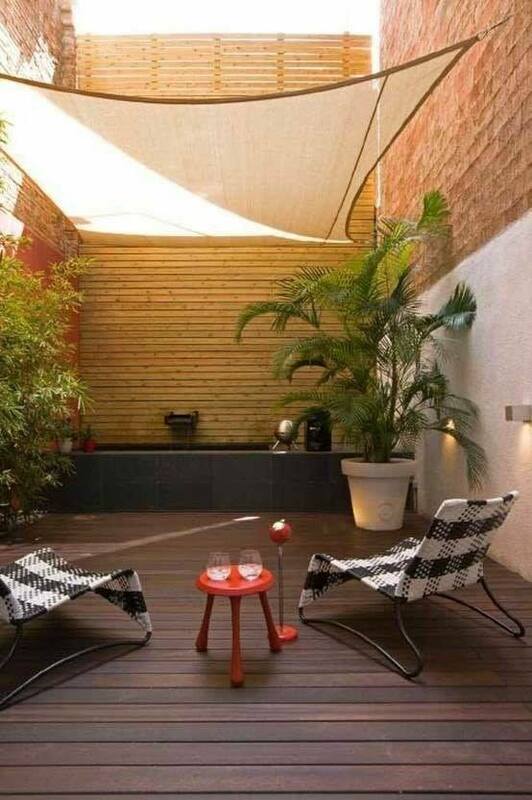 Add bricks walls, large wooden bench and a large wooden table and this is it! 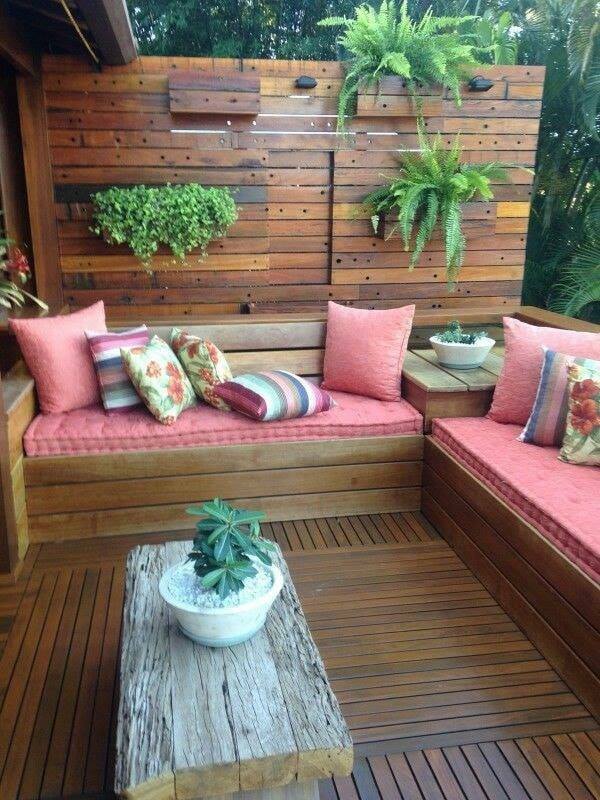 For me, if you already have an outside place for decorating, choose to make a good looking and relaxing area. At the end of this post, feel free to share all these ideas with your friends and of course, don’t forget to follow our website for more ideas like these! Thanks for your attention, we are so thankful to your attention!